Welcome to the official Karman Healthcare website. 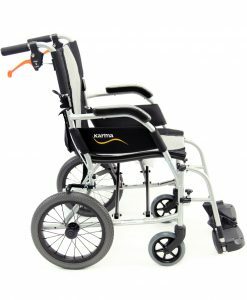 If you are visiting us because you are interested in buying a wheelchair, you have come to the right place. We provide over one hundred different types of chairs that are designed to be high quality and comfortable. 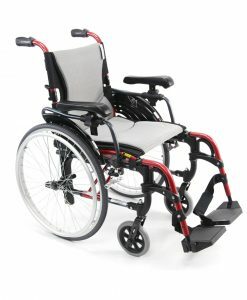 We carry one of the largest selections of wheelchairs in the United States. 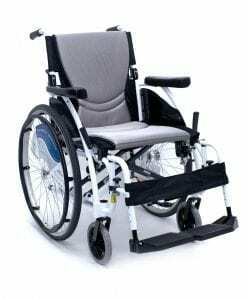 We always place importance in our customers, we only manufacture high quality and efficient wheelchairs, to make sure that our customers get the best possible product currently available. 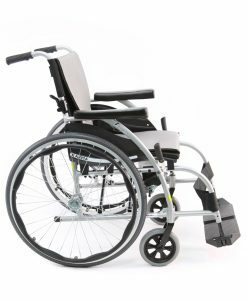 We currently have over 50 different official vendors that are always available to help you find the right wheelchair for your needs. 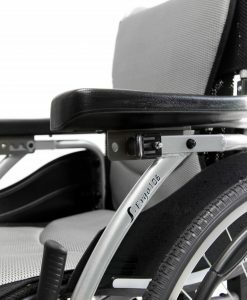 Every single chair that we make available to the public is brand spanking new, we make sure that we inspect every single wheelchair that comes through our warehouse, to make sure that you receive the highest quality product available. 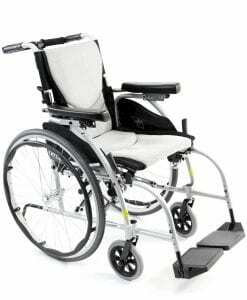 One of the very first decisions you must make in order to choose the correct type of wheelchair, it whether you need a big wheel or small wheel base chair. 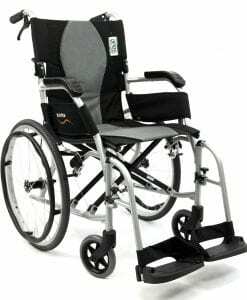 The big-wheeled chairs are considered standard; this is because the user is able to propel themselves without the assistance of another person. This is handy for independent users who need to self-propel in order to get to where they need to be. 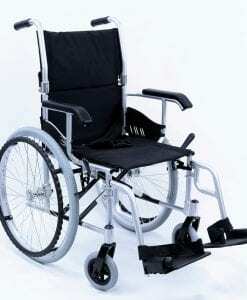 The other type of chair that has small wheels is referred to as a transport wheelchair. 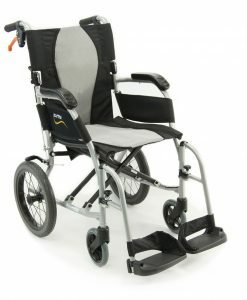 The transport or travel chair is necessary for a user if they can no longer push themselves while using the equipment. This is commonly used when a user has a caregiver or caretaker that is able to propel them to where they need to be. 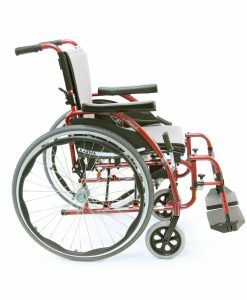 All of our manual wheelchairs are designed to fit in a standard vehicle, they are also prepared to be ready to use right out of the box. 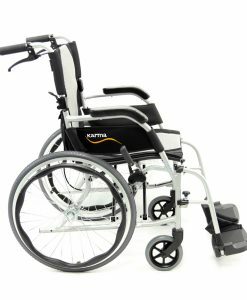 Meaning that once you receive your wheelchair, you can instantly unbox the product and start to use it right away. 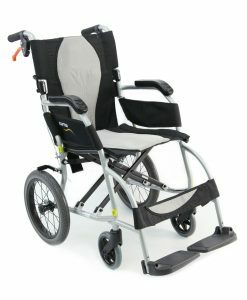 We carry wheelchairs that can weigh anywhere from 14 pounds all the way up to 50 pounds. 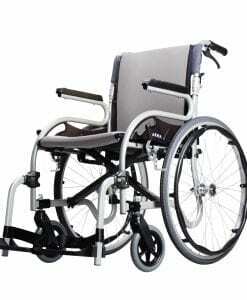 The weight class depends on the type of wheelchair that you are looking for. 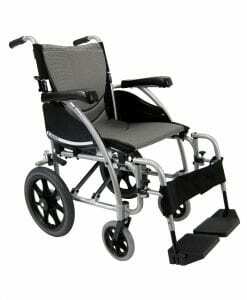 Typically our ultra light wheelchairs are the most popular products that we carry. 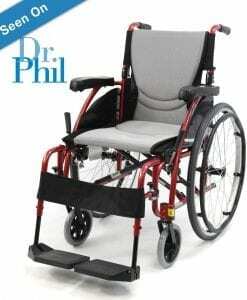 If you are looking for a chair that is designed for heavy duty patients, then you will need to know that you must sacrifice total weight of the chair to extend the weight capacity of the frame. 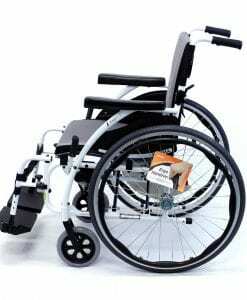 The most basic wheelchairs come standard with two 24″ rear wheels, and two 7-8 inch front caster wheels. The typical rear wheel has wired spokes, although some alternative materials are available, such as plastic or alloy rear wheels. Rear wheel tires are available in three different types, Pneumatic, Semi-Pneumatic, and Solid Non-Pneumatic Tires. 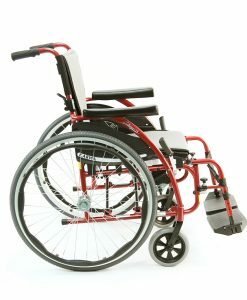 Wheelchair Wheel Hand Rims are connected to the outside of the wheels to permit the user to control the chair without having to touch the dirty tires. For some users, hand rim grip tape is available in the case that you cannot grip the hand rim comfortably. 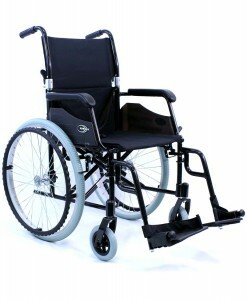 Wheelchair Front Caster Wheels make it possible for the user to steer the front of the chair. 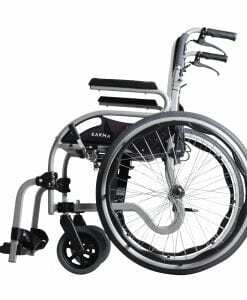 The standard types of wheelchair casters come in 8″ in diameter, and are usually solid rubber tires. The seat height of a basic adult chair is about 19 1/2 to 20 1/2 inches. Taller people may require a seat that is elevated higher and deeper. A person with a shorter frame will require a seat height that is lower. 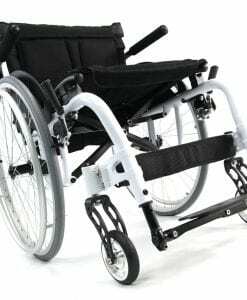 For the most part, this type of seat height for an average wheelchair user can be fulfilled by stock wheelchairs, but if it does not proper body dimensions can be measured by a certified agent, and then built to fit those specific measurements. 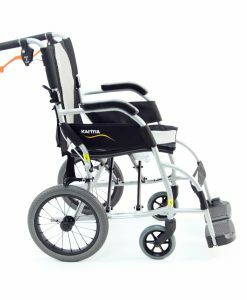 Our wheelchairs have a determined seat type, they can feature slings where the upholstery is placed, with various materials to keep it in place. Velcro is one of the most common used sling materials that allow the upholstery to stick in place without sudden slippage or misplacement. A solid seat where folding is possible is available, a removable seat upholstery may also be considered. For some patients special seat cushions may be required. 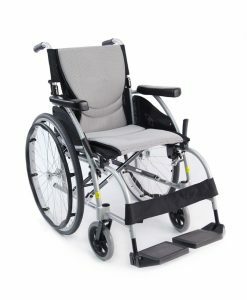 Cushions should not be be considered optional for some users, they should be considered an integral part of the overall wheelchair. Sometimes cushions are used to secure the lowest possible pressure over the soft tissue that is in contact with the the seat. 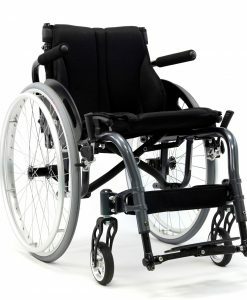 Wheelchair cushions are most often used to prevent pressure sores, and also helps with preventing slipping. 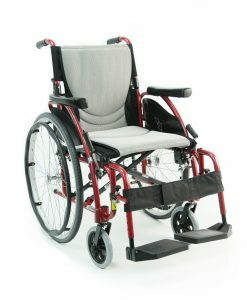 Cushions can be used to place the user in the best possible position for operating the chair. 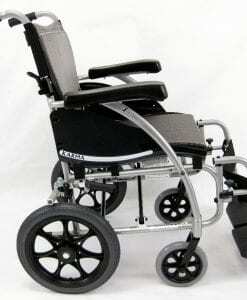 Wheelchair Front Riggings is a term used to describe the chair’s footrests and leg rests. Footrest feature is a support bracket, which sometimes can include swing away and removable mechanisms. Some footrests come with a calf pad that helps support the back of the leg of a user in place. 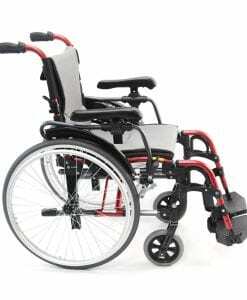 Manual Wheelchairs are usually available in seat widths ranging from 10 to 32 inches. Usually each seat width size that follows the prior is incremented by 2 inches. Some companies allow you to order larger seat widths than listed above, this type of seat width would need to be special ordered. Seat depth and height from the floor may vary with the width size approximate. To select the proper seat width it is important to keep in mind comfort and stability. A seat width that is too narrow will not only be uncomfortable, but will also make access to the chair more difficult than it needs to be. If you purchase the wrong seat width, you will be more prone to pressure sores and other health related issues. If the seat width you received is too wide, it stimulates the user to lean toward one end of the chair, which promotes scoliosis and increased one sided pressure. If your seat is too wide this can also make it difficult to propel yourself because you exert more energy in order to lean and propel the wheels. If your seat is too deep for your body type, or maybe longer that it needs to be, it can restrict blood circulation in the legs, and may cause the user to sit with their legs extended or to slide forward on the seat.